Mamo’s Weeds is a short film written by acclaimed mystery writer Naomi Hirahara that tells the story of a gardener besieged by a destructive weed epidemic and a series of phone calls from a mysterious woman. Searching for answers, he travels from the Southern California Gardeners’ Federation to a Little Tokyo chop-suey house to the lawns of Japanese American neighborhoods, only to discover that the weeds are keys to both his past and future. Two documentaries, “Sam” and “I Don't Think I Said Much” provide rare glimpses into the lives of two Southern California Japanese American gardeners in the 1970s. 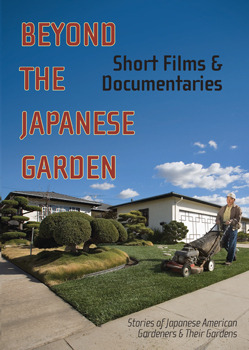 Collection of mini-documentaries of Japanese American gardeners and gardens. Slideshow of artifacts and photographs from the Landscaping America exhibition. Produced in conjunction with the Landscaping America: Beyond the Japanese Garden exhibition.